We are ecstatic, as a proud member of the International Campaign to Abolish Nuclear Weapons (ICAN), to be the recipient of this year’s Nobel Peace Prize. Hibakusha Stories is one of the 468 organizations in over 100 countries and territories that shares this grass-roots prize. In this spirit, we would therefore like to announce, to all the hibakusha, to all the teachers, to all the schools that have participated in our programs, this NOBEL PEACE PRIZE belongs to YOU too! Hibakusha Stories has been involved in the campaign from its inception. 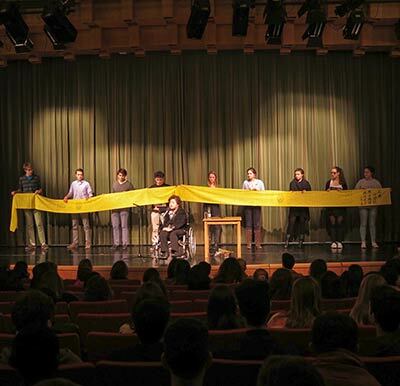 In 2007, our director Kathleen Sullivan was invited to Australia to take part in the ICAN inauguration and roll out as a public speaker for youth and general audiences. Part of her first work for the campaign was to write a series of disarmament education lesson plans that were featured on ICAN’s initial website. 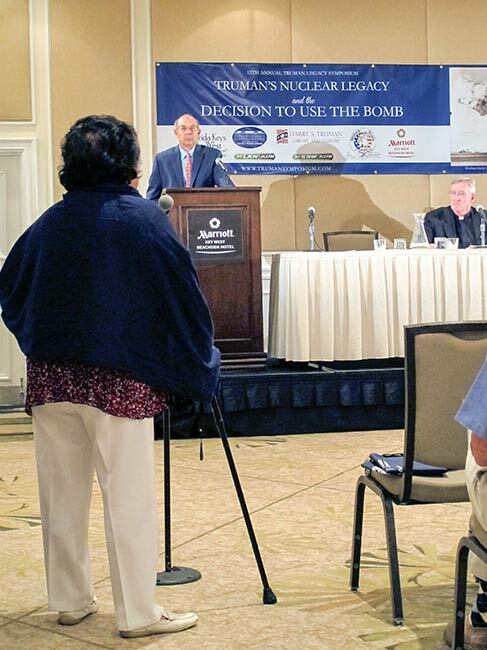 Our central role has been to support hibakusha testimony, to emphasize the humanitarian consequences of nuclear weapons with the real life experiences of survivors from Hiroshima and Nagasaki. 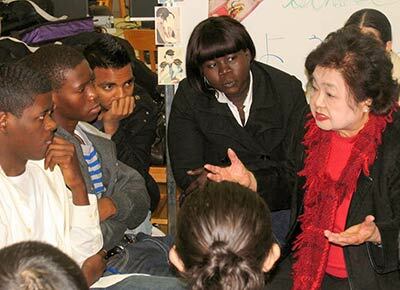 Youth Arts New York/Hibakusha Stories has brought over 100 atomic bomb survivors to more than 35,000 high school and university students. Our website serves as an educational portal, documenting hibakusha testimony, archiving our unique work in the field and providing curriculum. The individual achievements of our team members reach out even further in film, dance, visual art, policy creation, community building and more. To our knowledge, Hibakusha Stories is the only project in the whole of the United States whose sole purpose is to highlight atomic bomb testimony through the arts, inspiring action for nuclear disarmament. We have had the exceptional honor to support many atomic bomb survivors in sharing their stories of hope, compassion and inspiration. 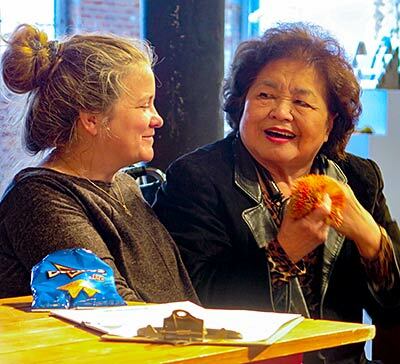 Among them, Setsuko Thurlow has played a vital and central role in the ICAN family. 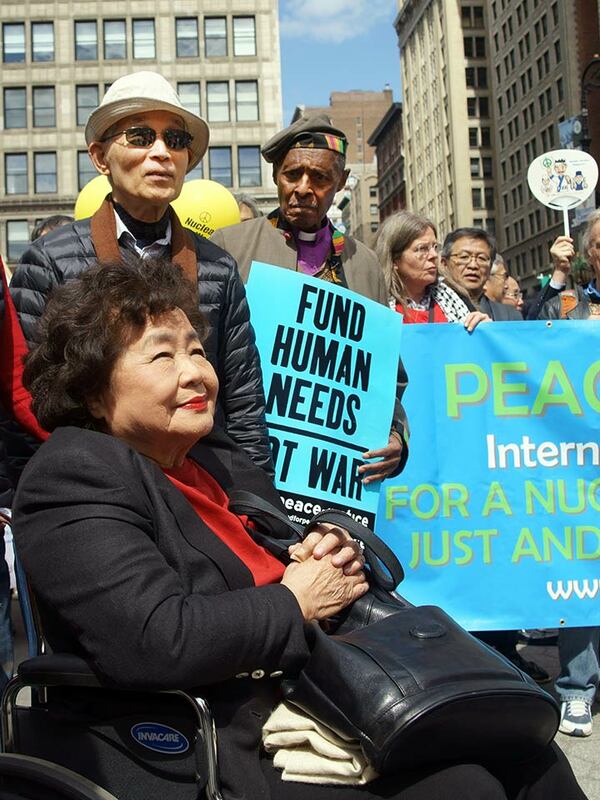 In addition to her first hand experience as a Hiroshima survivor, Setsuko provides an acute awareness of the political and historical significance of nuclear weapons, paired with an intellectual rigor that has characterized her tireless advocacy — for her entire life. 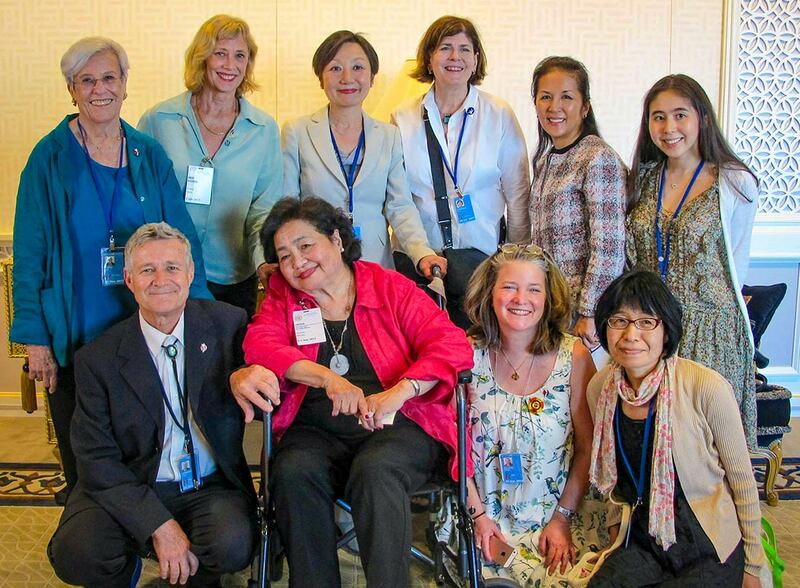 Specific to the BAN treaty movement we have supported Setsuko’s participation in international gatherings and conferences and at the United Nations in Geneva and New York. 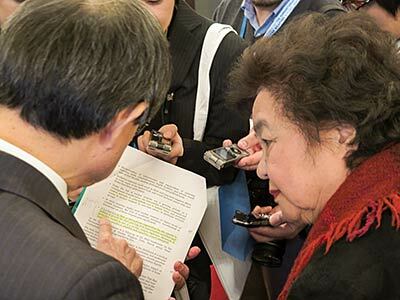 February 2014, Setsuko delivered a keynote address (with Yasuaki Yamashita, Nagasaki hibakusha) at the Second International Conference on the Humanitarian Impact of Nuclear Weapons, hosted by the Government of Mexico, attended by 146 states and 120 NGOs and Civil Society organizations. What extraordinary progress over a relatively short period of time, lead by our colleagues and partners around the world in the ICAN family. 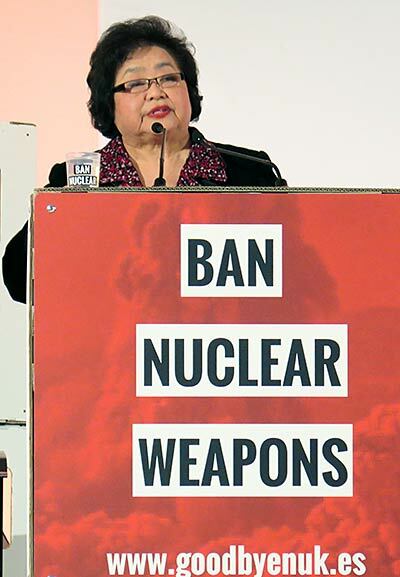 During this time, and just before ban treaty negotiations would commence at the UN in New York, Setsuko received the Ahmadiyya Muslim Peace Prize in London for her work on nuclear disarmament. In July 2017, Setsuko traveled back to New York. 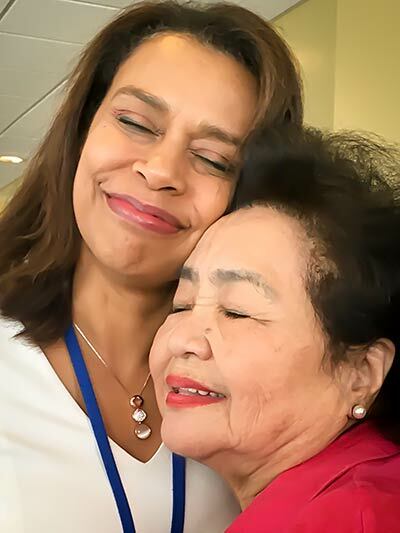 There was not a dry eye in Conference Room 1 of the United Nations when Setsuko was given the final word before proceedings finished with the historic adoption of the Treaty on the Prohibition of Nuclear Weapons. She said “To the leaders of countries across the world, I beseech you, if you love this planet, you will sign this treaty! Nuclear weapons have always been immoral. Now they are also illegal.” You can see her speech in full here. 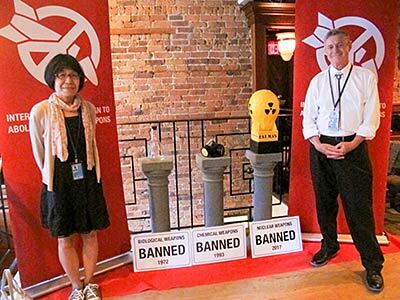 For decades of borrowed time, non-governmental organizations worldwide have educated the public, lobbied governments and pursued strategies to warn people of the earth-destroying hazards of nuclear weapons and to build a world free of these instruments of omnicide. 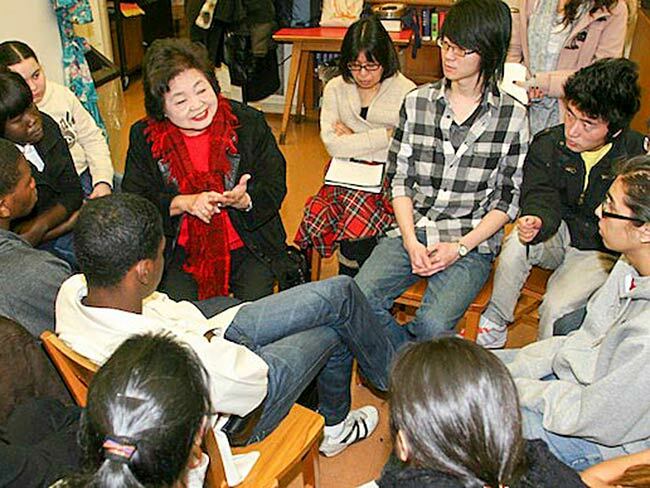 Hibakusha Stories’ role has been two-fold, to educate youth and the general public on the realities of nuclear weapons production, use and threat of use. We’ve also supported the voices of those who survived hell on earth with the fervent and active hope to share their experience so that others would never suffer as they did. 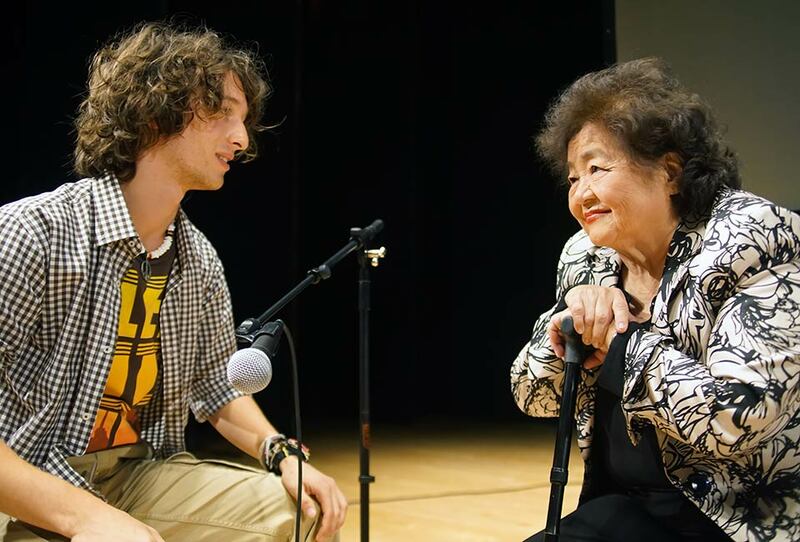 This selfless act of courage has not only inspired thousands of young people where we have helped facilitate hibakusha testimony, but has changed the course of history through the adoption of the Nuclear Ban Treaty, inspired truly by the compassion and conviction of atomic bomb survivors; Setsuko Thurlow chief among them.